You know that I have been sulfate-free for years. But, they cost a bomb and are not available easily. Last year, when I was in a town with no access to malls, I discovered that Himalaya Herbals is the only brand which retails shampoos with no SLS. Some variants are entirely free of sulfates, but some have ALS (which is a better than SLS). They are a good choice if you wish to go SLS free without burning a hole in your pocket. I even mentioned Himalaya Herbals Damage Repair Protein Shampoo in my Favorites of the Year 2016. 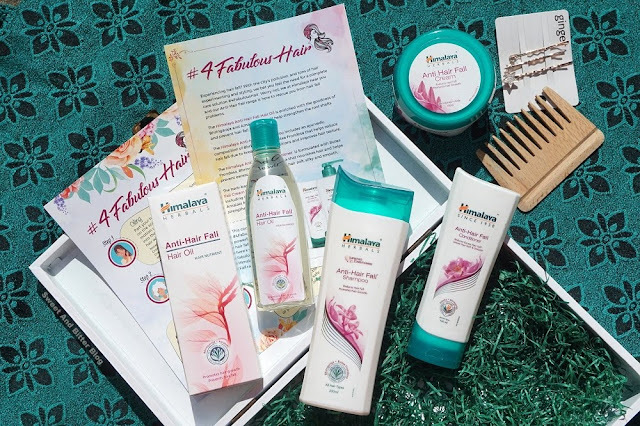 Couple of weeks, back Himalaya Herbals kindly send me a box with four of their haircare products for complete care #4FabulousHair. Get it? 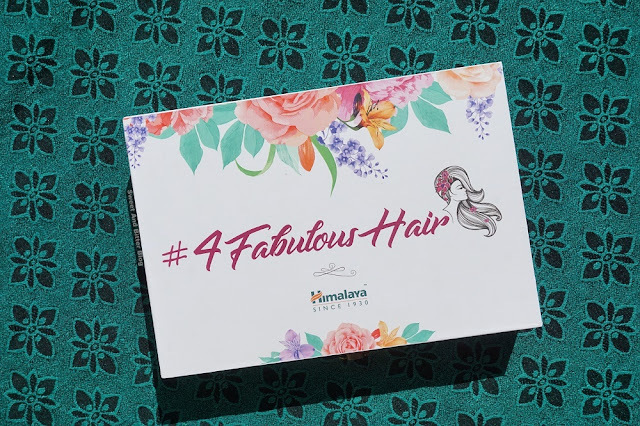 4 products....4 Fabulous Hair? They send me the hair fall range. I received it in Kolkata, and I tried the hair cream on my mom's hair. She has super curly hair, and it smoothened her hair. She loved it, and hence, then she took all the products from me! I could have anyways not brought the products with me to Delhi (weight and liquid restrictions in flights!). I do have the glamorous hair clips and the sturdy box which is now my jewelry box. So, here are my first impressions/observations (not review). Anti-Hairfall Oil: Contains Bringraj and Amla which are great for blacker, denser, and healthier hair. It has a lovely fragrance as well. But, the base of the oil is not mentioned in the bottle. The oil is on the lighter side so, I just hope it is not mineral oil. Anti-Hairfall Shampoo: It does not have SLS but does have ALS. It lathers well and cleans properly. Anti-Hairfall Conditioner: Just like the shampoo, it contains Bringraj and Palash. I used a little on my tips and found no issues with this one. Anti-Hairfall Cream: I used it only on my mom's hair. It detangles so, it does help in reducing breakage from tangling. I am not sure if one is supposed to use this on the scalp or not so, that it can add nourishment to the roots. Do you have any recommendations for shampoo that are SLS-free and easily available?